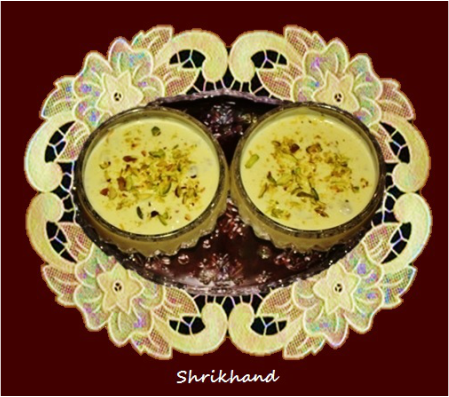 ﻿S﻿hrikhand is a Gujarati and Maharashtrian dessert but it has become very popular all over India. It is made of strained yogurt. The plain unsweetened yogurt is tied and hung until all the waters drained off, then sugar, cardamom, nuts are added and mixed. Fresh mix fruits or fresh mango or mango pulp are also added in the yogurt. 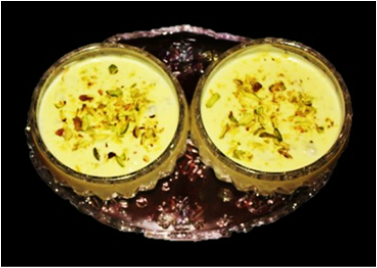 Shrikhand is served chilled, eaten as either a side dish with poori or as a dessert. In restaurants shrikhand is usually served as a part of Guajarati thali and it is a part of Gujarati wedding feasts. 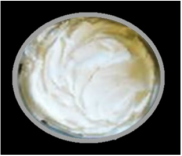 Shrikhand is very easy to make and very healthy and nutritious dish. Traditionally, shrikhand is made from hung yogurt which takes few hours to drain all the water out, but you could substitute with Greek yogurt which is very creamy and smooth and you can make a perfect dessert very quickly. 1. Soak the saffron in warm milk. 2. Place the yogurt in a bowl and whisk it for few seconds then add sugar and mix, add saffron milk, sliced nuts and crushed cardamom, mix everything together, cover the bowl and place it in the refrigerator to chill. 1. 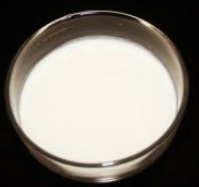 If using plain yogurt to make shrikhand then take 2 pounds of yogurt or as needed. Line a strainer with a cloth or a kitchen towel. Put the strainer inside a mixing bowl. The bottom of the strainer must be suspended at least 1 inch above the bottom of the mixing bowl. Pour the yogurt in the strainer and place it in the refrigerator and leave it for 2 to 3 hours or until all the liquid drips out of the cloth into the bowl.Scrape the drained yogurt into a bowl. Strained yogurt should be thick and half the original volume.